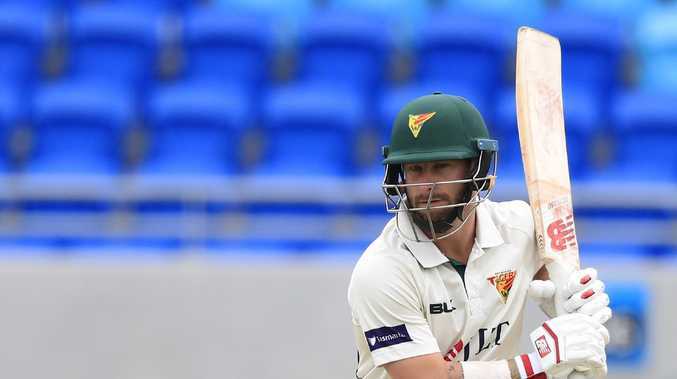 HE might be better known for his work behind the stumps, but David Hussey believes Matthew Wade should be recalled to the Australian Test team as a specialist batsman for the New Year's Test after the home side's batting woes continued in Melbourne. Australia lost the Border-Gavaskar Trophy after India bowled the home side out for 261 to win by 137 runs at the MCG on Sunday. Their failure in the Boxing Day Test saw them collect some unwanted history, as they became the first Australian team in 26 years not to have a centurion in their home summer Tests by the new year. Should that streak continue in Sydney then it represents the first time in 136 years that such an unflattering result has been returned from a four-Test series on home soil. In particular, opener Aaron Finch is most at risk of being dropped after scoring eight and three at the MCG to continue his tough debut home series where he's averaged 16. All-rounder Mitch Marsh is also firmly on the chopping block following his twin failures upon his return to the Test team, particularly after captain Tim Paine confirmed that Queensland leg-spinning all-rounder Marnus Labuschagne had been added to the squad for the New Year's Test. While it's impossible to dispute the current team's woes with the willow, Hussey said there was "no one really screaming out in Shield cricket that is scoring heaps and heaps of runs to warrant a position in this Test team." But Hussey said that Wade was the most deserving of the current crop of batsmen. "Matthew Wade springs to mind. Can he open the batting? 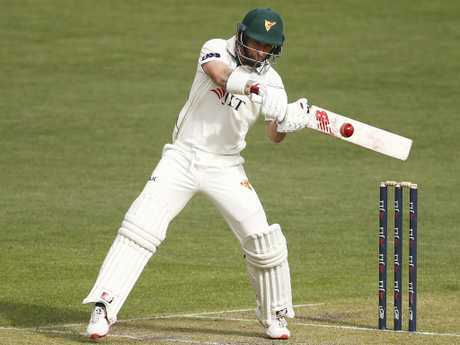 Well I think that's poor thinking - he's a middle order player, he's had good success with the bat, he's made two Test hundreds already," Hussey said. "He's the only one really screaming out for that chance to play for Australia in Test match cricket." Wade, who averages 28.58 in Test cricket and has scored two centuries, last wore the baggy green 16 months ago. He was sensationally dropped for Paine, who has since had a meteoric rise to the captaincy, after scoring 17 runs in two Tests against Bangladesh. Since then Wade has gone back and piled on the runs for Tasmania. 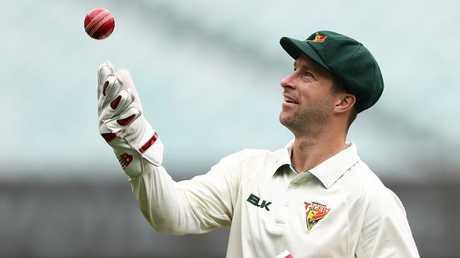 He was the 12th leading run-scorer in Sheffield Shield cricket last season, compiling 654 runs at 43.60 with three centuries. After six Shield matches this season in the middle-order, Wade tops the charts with 571 runs at 63.44. He has carried that form into the Big Bash season, where he's scored back to back half-centuries for the Hurricanes, including a match-winning 85 against Sydney Thunder in Hobart on Thursday. Hussey, who played alongside Wade for Victoria and in the Australian one-day team, added that the left-hander shared many of the traits of coach Justin Langer. "I've played a lot with Matthew - he's a fighter, he's gritty, I think he's learnt a lot from his time in and out of the Australian dressing room," Hussey said. "I think he's a Justin Langer clone. Will never give his wicket away cheaply, fights hard for his team, and most importantly he always plays for the team and I can't speak highly enough of him as a cricketer and as a person."